Ideal-Air is proud to offer the first ceiling hung, cooling and heating air conditioning system designed expressly for indoor gardening. 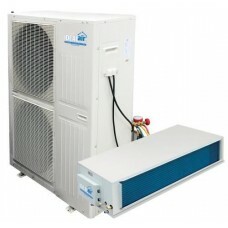 This inverter compressor outdoor unit features a split heat pump system that heats and cools. It is matched to a commercial-grade indoor ceiling mounted head with an industrial shaft driven motor. The Ideal-Air Mega-Split system delivers effective indoor cooling when outdoor temperatures range from 116°F to -13°F. This system also includes an internal condensate drain pan. The permanent indoor air filter never needs replacing and is easily accessed for quick clean-up. Installation requires a certified HVAC technician. This kit includes the touch screen thermostat wall display and 32 ft wire harness to interface with the indoor and outdoor unit. 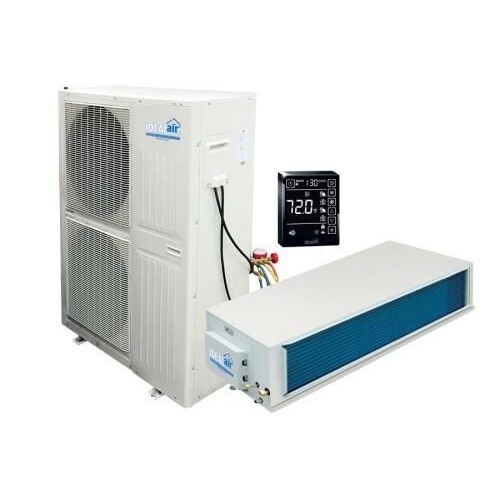 Refrigerant line sets are offered separately and should be installed by a qualified HVAC Technician. 5 year compressor warranty. We offer discrete packaging, for your products! Interior threads which accept 3/4 in standard pipe thread. Use as ebb and flow fittings and bulkhead.. The unique combination of ingredients in SugarDaddy are vital for all stages of plant growth and dev..
Not for sale in HawaiiMyco Maximum Granular contains 8 species of growth-enhancing mycorrhizal fungi..
Vermicrop Organics VermiVeg Vegetative Stage Dry Fertilizer is created for all plant types in the gr..
Made from galvanized steel, the mounting brackets are available for all sizes of Vortex Powerfans. T.. Jungle Juice 2-Part Coco Grow Part A 57L.. Alchemist Liquid Oxygen H2O2 is composed of 34% Hydrogen Peroxide. Use with caution. Keep away from .. MICROBE Life Hydroponics Vitamins & Amino Acids contains a blend of all of the essential micronutri..
Rainmaker® Hand Nozzle with Thumb Slide Flow Control is made from heavy duty metal and allows water ..